According to the National Highway Traffic Safety Administration, an average of 800 Americans die a year in car wrecks because of snow, freezing rain, sleet or ice. When 17 percent of all vehicle crashes occur in winter conditions it’s clear that we could all use a refresher on safe winter driving. We have compiled a list of simple tips and tricks to help keep you and others alive to enjoy all your snow-filled adventures. Whether you have an all-wheel, front, or rear wheel drive vehicle it is important to get regular tune-ups and maintenance done before you get on the road. • Pay special attention to your vehicles battery, wipers, coolant, and tires. 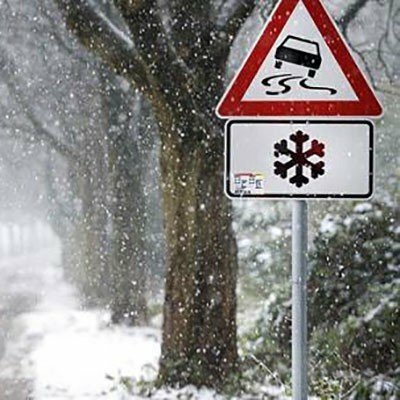 • If you are using snow tires, have them installed before the snow begins to fall. • Clear your car of snow, ice or dirt from the windows, forward sensors, headlights, tail lights and back up cameras. • Drive slowly and leave adequate space between you and the vehicle ahead of you, it’s harder to control or stop your vehicle on a slick road. • Take the time to learn how your vehicle handles in all types of weather situations and remember that all vehicles handle differently. • Plan your route accordingly. Know the weather and traffic conditions before you head out and give yourself plenty of time. It never hurts to be prepared for any type of situation on the road. Crashes happen, vehicles break down and sometimes help is not always around the corner. • Keep blankets, flashlights, jumper cables, and emergency lights in your vehicle. • Always keep a spare tire along with a tire jack on hand. • Have snacks and water stashed away in case you get stuck for a long period of time. • Make sure your cell phone is charged. Regardless of the weather conditions, make sure that you and everyone else in your vehicle are wearing seat belts and never drive after drinking. As always, you can reach out to us, your friends at Carbondale Fire, for any questions or concerns.